Why are Business Intelligence and Artificial Intelligence Important? Microsoft Office 365 is comprised of many tools that can help streamline your daily workflow, while getting your job done more quickly and effectively. An Office 365 project management tool that's been recently updated is Microsoft Planner. 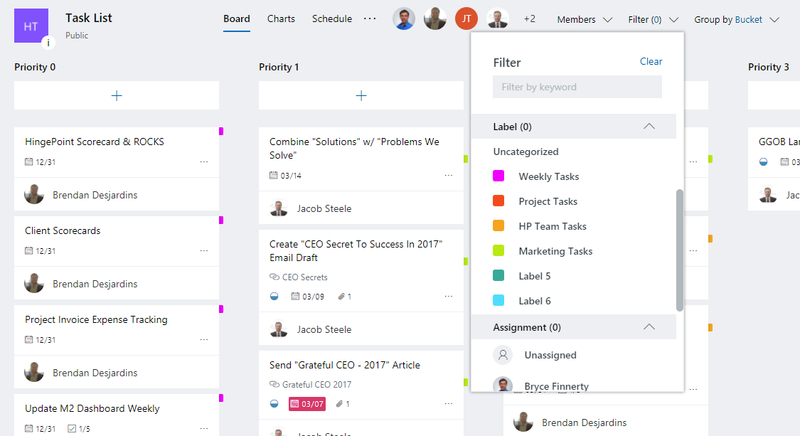 Similar to Trello, Planner enables your company’s teams or groups to create multiple task lists associated with different projects or daily to-do checklists. Microsoft Planner helps remove chaos from team collaboration environment. Users can assign tasks, share files, and collaborate through chat to execute a project or plan. Each plan has its own "board" where the user can organize tasks into different buckets, enabling the user to filter on Due Date, Categories, or by Assigned User. The HingePoint Team recreated our daily task lists using this tool and it seems to work like a charm! “Built for Office 365, Planner lets you attach files to tasks, work together on those files, and even have conversations around tasks without switching between apps. With Planner, all your team’s discussions and deliverables stay with the plan and don’t get locked away across disparate applications.” Learn more about Microsoft Planner from Microsoft here. Microsoft Planner has many of the same filtering capabilities as SharePoint lists, so it is a niche replacement for tools that previously had to be built from scratch or customized from other list templates. The best part about Microsoft Planner is that it syncs directly with the associated Office 365 group. This allows you to embed your team’s plans into your SharePoint Team Site and add value and understanding to what your specified team is working on. Read our "Top 5 Integration Features of Microsoft Office 365 and SharePoint Online". 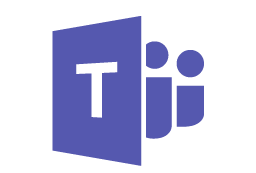 Microsoft Planner provides an out-of-the-box functionality for creating charts for your team's various assigned tasks. It keeps everyone informed about which tasks are in progress, not started, late, or complete. Because we customize Microsoft Office 365 for businesses, we've even recreated a Microsoft Project plan in Planner to potentially use it as a way to communicate project plans across our organization, without assigning Microsoft Project licenses to all relevant parties. The prototypes track most of the same information that our project managers track throughout a project’s life-cycle and could prove to be a solution for Project Managers across all industries. Integrating Office 365 can be frustrating. Some of the new releases associated with Microsoft Planner include new “Group” and “Filter” options (mentioned above) and integration into the new Office 365 group card that gives you easy access to all the components of a group, such as conversations, calendar, notebook, files, planner, and other collaborative tools. Microsoft is also currently rolling out a new feature that allows a user’s Outlook calendar to sync with Microsoft Planner. Overall, Microsoft Planner is a tool that HingePoint believes could be an excellent solution to many of the operational procedures that any company goes through on a day-to-day basis. Of course, since this is an Office 365 product, users can also access and update their plans on any mobile device with the Microsoft Planner App. If you're interested in learning more about integrating Microsoft Planner or other Office 365 tools into your organization, we'd love to hear what you're looking to accomplish! Feel free to start a live chat with our solution consultant on this page, email us, or call us at (214) 301-0000 to get started today. HingePoint offers cloud and mobile applications for construction and real estate that are easy to adopt and employees love. Specializing in the systems that run the construction and real estate business including SharePoint, Salesforce, Procore, MS Dynamics, and Autodesk. Scale and grow profitably with Financial and Project Management Dashboards, document management, and workflow automation for field to office collaboration. Looking for the perfect intranet solution? Want to maximize your Office 365 investment? This article outlines key tools and features to get you started. A great read for those looking for some the practical SharePoint tips and tricks from our guru project manager that he learned through first-hand training and heads-down hard-work with our clients. Do you consistently find yourself wasting time hunting for files and documents? We detail four areas where SharePoint helps companies become more efficient and have more accurate, accessible information for employees. In the commercial real estate industry, there are trends that can directly influence how companies work and achieve maximum growth. Here you will find HingePoint’s take on the top technological trends for commercial real estate developers. Finally, our most popular SharePoint post of 2017. Read up on SharePoint upgrades and improvements over the last year that drastically impact users in terms of transporting cloud-based Office 365 capabilities onto the SharePoint platform. We identify five improvements we use to get the most out of Office 365 and SharePoint. This article was so great that @SharePoint Retweeted it! We hope that you found this recap beneficial as we took a look back at 2017. There are big things coming in 2018 that we are extremely excited about. We look forward to keeping you in-the-know with all of our tips, insights, and developments as they unfold! HingePoint offers cloud and mobile applications for construction and real estate that are easy to adopt and employees love. Specializing in the systems that run the construction and real estate business including SharePoint, Salesforce, Procore, MS Dynamics, and Autodesk. Scale and grow profitably with Financial and Project Management Dashboards, document management, and workflow automation for field to office collaboration. Business intelligence -- which is the ability to make better decisions on real-time, visual data -- will be the reason for the next renaissance. The last renaissance was after the printing press revolutionized humanity by causing literacy to increase after its invention in the 1440s. But literacy didn't actually skyrocket until the Industrial Revolution made literacy economically valuable. Instruction manuals for machines became important to read during the Industrial Revolution. Books were cheaper and more subjects were available. Kamal Hathi, a general manager at Microsoft, said spreadsheets were the printing press of data literacy. But artificial intelligence will make data literacy skyrocket like the industrial revolution made literacy skyrocket. Artificial intelligence will remove the need to understand statistics and code because it will automatically find interesting trends and outliers for users. Business intelligence and artificial intelligence will democratize data so it will be available to everyone, not just data scientists. Power BI now has the ability to turn on forecasting, see trends, and automatically see clusters with one click. Go to analysis tab and click add forecast and it automatically and immediately adds a forecast. No statistics or coding is required. Now Power BI has the ability to show drive times and demographic data by merging existing information with Geospatial data by Esri. 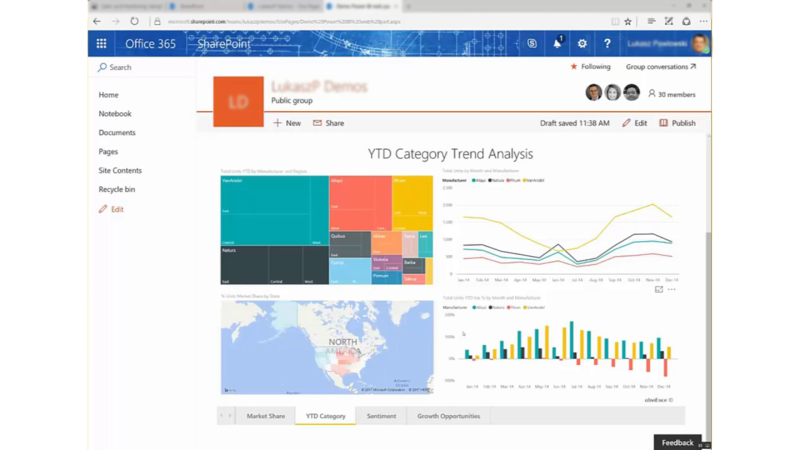 Companies can also publish and share Power BI reports from local servers, instead of using it through the web. That’s good for organizations that don’t want or can’t put certain data in the cloud, but they can still get the Power BI functionality. [post_title] => Why are Business Intelligence and Artificial Intelligence Important? [post_content] => Microsoft is starting to break down the development wall between desktop and cloud services with Azure. Azure, Microsoft’s comprehensive set of cloud services for developers and IT professionals, will be able to work in the cloud or in a local server. 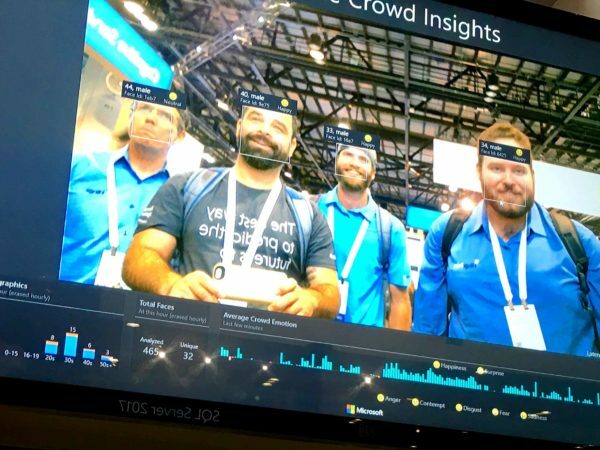 During Microsoft’s technology keynote at Ignite, it was clear that Microsoft is breaking down the development workflows to be both desktop and cloud integrated with Azure. For example, Microsoft unveiled an integrated management portal that lets you see your whole infrastructure. It means you can see all the servers that are part of the data center, including the ones that are in the cloud and the ones on-premise on the same screen. Azure also lets you insert and create code snippets right into your app. Simple right-click options will automatically insert the code into your app. If you need specific functionality you can just right click and get a block of code. Azure Functions is a great solution for processing data, integrating systems, working with the internet-of-things (IoT), and building simple APIs and microservices. GitHub webhook - Respond to events that occur in your GitHub repositories. For an example, see Create a function triggered by a GitHub webhook. The robust Azure stack allows cloud functionality to work on your server that is not connected to the Internet. For example, a ship out at sea that does not have the Internet will still have the same functionality as if they are connected to the cloud. You can also develop mobile apps and immediately see the code you're working on. You can sync it with your mobile device and see it live so you can debug. Microsoft is releasing SQL Server 2017, which has standard performance gains and it runs on Windows Linux. It allows SQL to be used consistently across the cloud and in your personal server to create hybrid environments. Now developers can use R, Python, and Ruby directly in SQL servers, allowing a variety of languages to interact with the server. Procore customers can now automatically update SharePoint and Procore libraries simultaneously with a new SharePoint Two-Way Sync integration and connector, built on Procore Construction OS and is available in the App Marketplace. 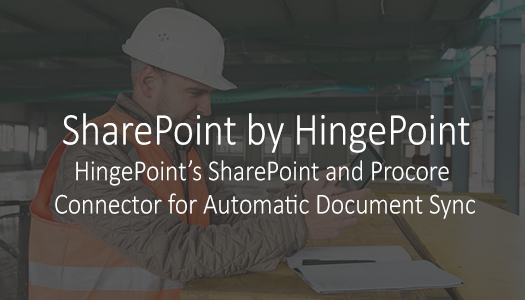 SharePoint Two-Way Sync shares and mirrors files and documents in both SharePoint and Procore libraries through a new connector created by HingePoint, a Dallas-based company that integrates and architects SharePoint for better data management. The SharePoint Two-Way Sync brings Microsoft’s enterprise-grade document libraries right into Procore, with two-way, real-time sync of folders and documents. When a folder is updated in SharePoint, it updates in Procore. If a file is deleted in Procore, it is deleted in SharePoint. “This is not an embedded form that anyone can access, it's an actual API integration that lets SharePoint and Procore libraries mirror one another while having the security of both systems," HingePoint CEO and Founder Bryce Finnerty said. “If you are a user with rights to a Procore project and you’re a SharePoint user with rights to a document library, you can access the synced files." A growing number of construction companies use SharePoint as their system of record to store important data about employees, contracts and project status. This connector eliminates multiple repositories of documents in both Procore and SharePoint and connects the construction unit to the rest of the company. The new integration HingePoint provides for Procore reflects each organization’s commitment to openness and building out the construction technology ecosystem. With the new connector, companies can automatically and securely sync files between Procore and SharePoint or Office 365, which will save time and confusion when managing project documents. It also creates better collaboration with the teams that are not in the construction space. 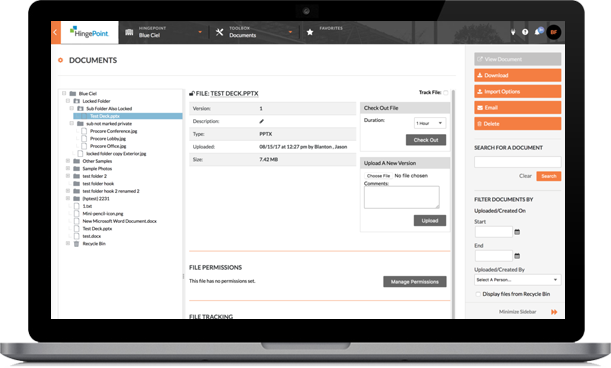 Leveraging SharePoint’s API with Procore’s open system, this integration automates document sync, saving time and effort of updating two systems that tracks and reports documents. This integration allows everyone – from the owner to the general contractor – to have access to relevant documents needed to finish a project. HingePoint integrates software so data can move from one system to another. They specialize in building custom tools that detect and collect data, so a business can project trends about their business. For more information, contact our Solutions Consultant, Dylan Seelie today!